The SHAD Top Master fitting allows mounting a top case onto the motorcycle. 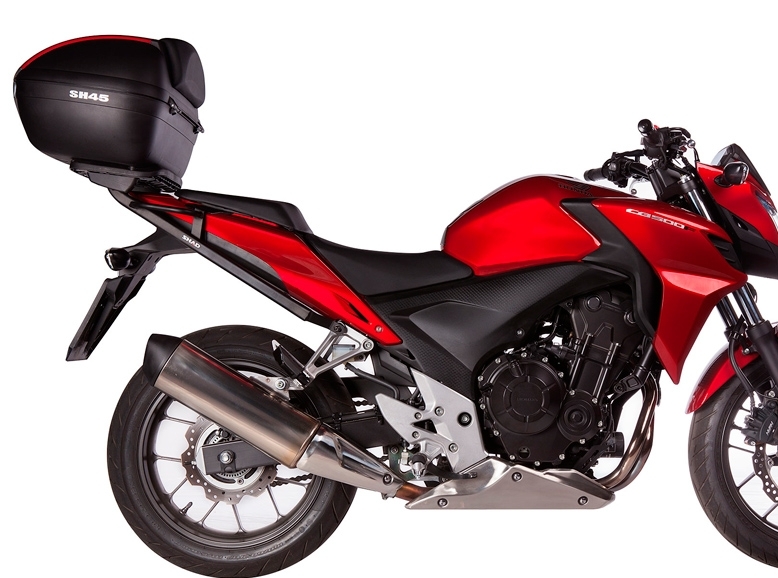 It is a fitting specifically designed for each motorcycle model, taking into account its features. The result is a high quality product, comfortable, safe, and easy to assemble and disassemble. Fitting kit JUST compatible with big rack (ref. D1B40PAR o D1B48PAR) included on top cases: SH39, SH40, SH40CA, SH45, SH46, SH48, SH49, SH50.